I must admit: I love cycling through the entertainment channels on Sky. Stumbling across those shows where people buy old banger cars, tear them apart and build them up again into something shiny is a pretty sure-fire way of guaranteeing some good, light entertainment on a weekday afternoon. But does that experience translate well into the medium of video games? The answer is it should, but it certainly doesn’t when it comes to Car Mechanic Simulator on Switch. In just a few moments this car will look unrecognisable… but you won’t feel like you made any contribution to the makeover. 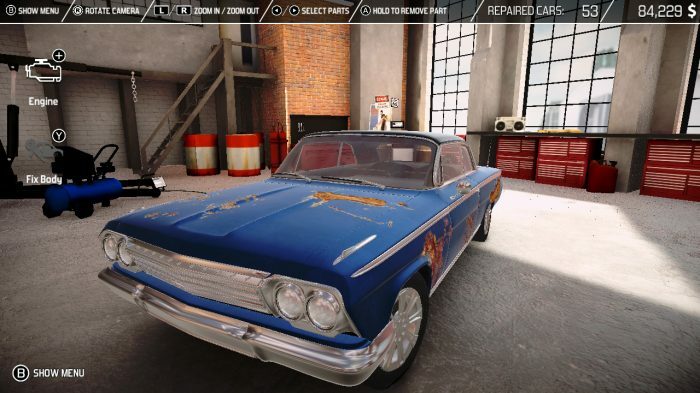 The immediate problem is how repetitive this game is, tasking you with purchasing a clapped-out old banger from a point on the map – quite what the map is there for, it’s never really made clear; it just seems like an underwhelming attempt at spicing up a simple list of cars. From there, you’ll have to fix the car’s paint work, first rotating the right stick to smooth out any scratches and then paying to select a new colour from a menu. Then, you have the privilege of watching as the car is immediately and automatically painted before your eyes – you don’t even get the option of doing that yourself. That’s a lost of rust. Swap those parts out. Next up, it’s the underbody of the car – you use disassembly mode to automatically pull all of the parts apart, and parts which need replacing are highlighted. Then, you’re off to another menu; this time it’s the shop menu, where you need to scroll through and purchase a new part to replace the dodgy one. Then, stick the parts in the car by holding down the A button, and flog the car for a profit. Rinse and repeat that and you’ll finish the entire game, with little to no variation. But if you weren’t paying attention in the game’s early tutorial, there’s little visual cue to help you through this, which is a pain. I hate recommending readers play games on other formats, but you’re better off going for the free-to-play mobile version of the exact same game. The versions on other consoles are far more in-depth, but at least checking out the free mobile version before the one on Switch will give you a clear idea of just how basic and lame this offering is. With so many titles releasing weekly on Switch and things showing no sign of letting up any time soon, this one should be left in the garage where it belongs. The rather uninspiring shop screen. 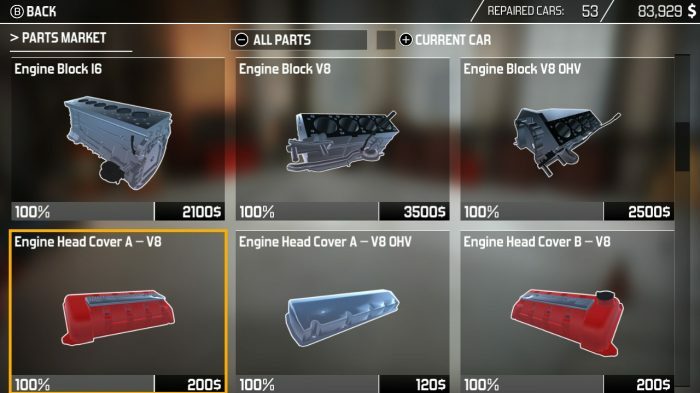 At least if you want to learn real-life car parts, you might get some use out of this. 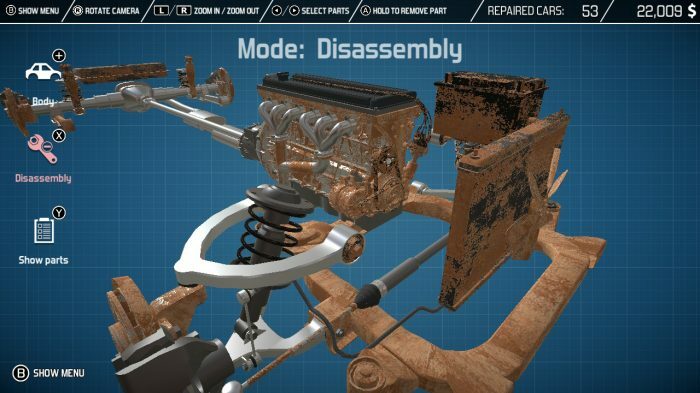 Inexplicably, all of the joy that comes from doing up rusty cars and turning them into mean machines has been left out of Car Mechanic Simulator. The developers have sadly forgot to bring the main positive pay-off from this activity to the table here, and that has made for a pretty pitiful experience. It’s a shame, as there’s a gap in the Switch market for games like this – but Car Mechanic Simulator fails to fill it. 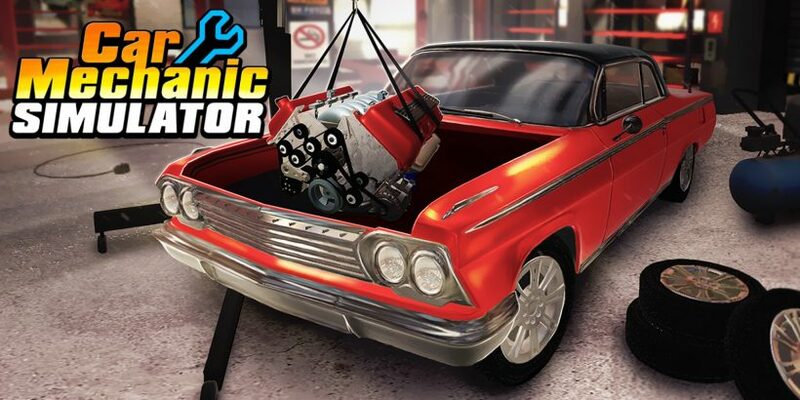 Car Mechanic Simulator is free on phones, but £14.99 on the Switch eShop. Just play it on the phone – you won’t play it more than once, anyway.